Roller Clip Dispenser - Express Corporate - Promotional Products - Delivered Fast! Tidy up your customers' desktops with the roller clip dispenser. 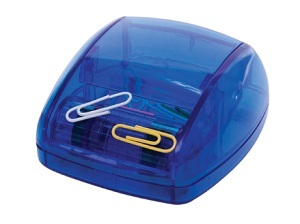 An ideal product for storing paper clips. Includes a pack of paper clips.